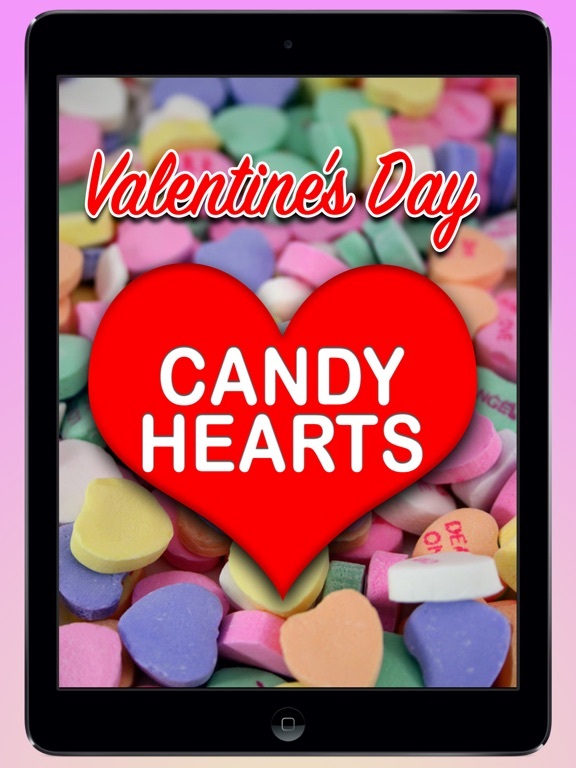 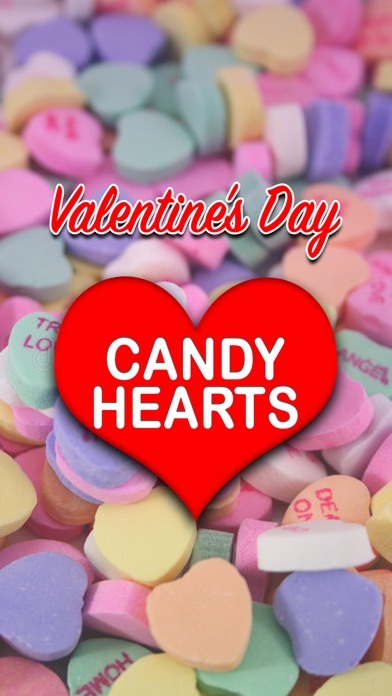 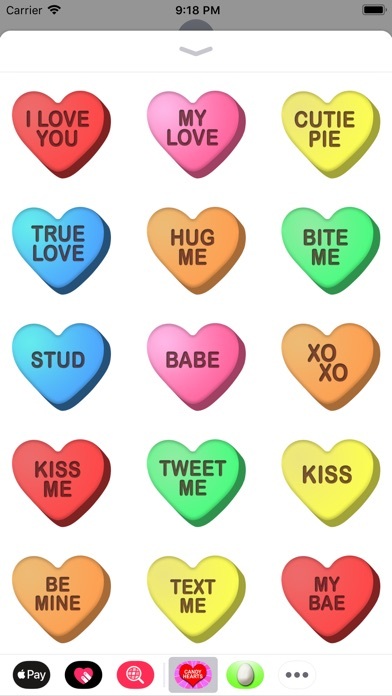 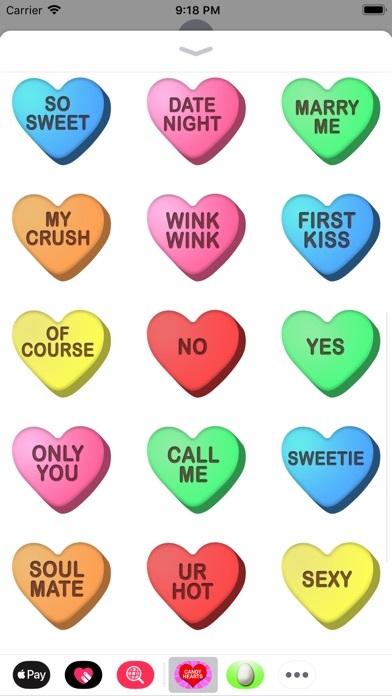 108 Candy Heart stickers with fun, silly, romantic, and "playing hard to get" phrases on them for you to send to your loved ones, friends, girlfriends, boyfriends, spouse, or someone you've got your eye on for Valentine's Day! 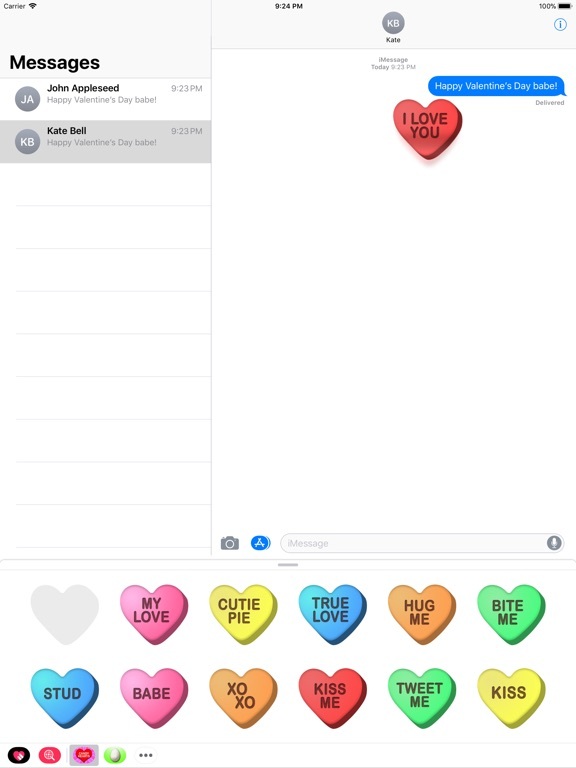 72 new stickers added! 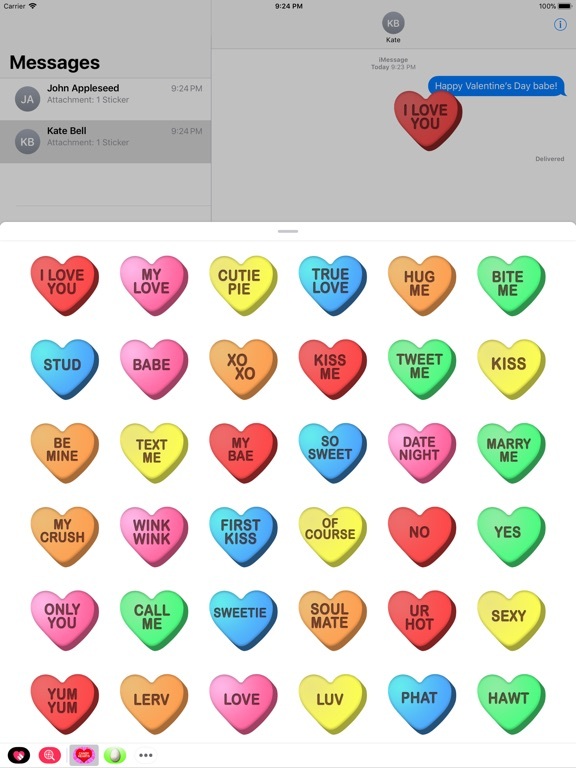 For a total of 108!